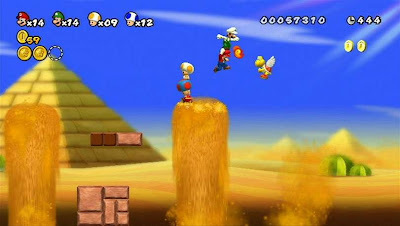 On Sunday, New Super Mario Bros. Wii will hit North American shores. It's a perfect time as any to take a look back at the very New Super Mario Bros. adventure that took place on the Nintendo DS of all places. Does it hold up well to this day? It had been more than a decade since we'd had a traditional 2-D Mario platformer. The last of which was Super Mario World-- not counting Yoshi's Island as that was a different series altogether. 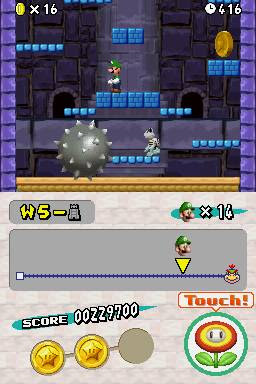 In 2006, gamers' dreams came true as New Super Mario Bros. for the Nintendo DS brought with it 3-D sprites and backgrounds with 2-D gameplay. And not a moment too soon! The release of New Super Mario Bros. Wii is upon, the first console 2-D Mario in over fifteen years, so it seems to be a perfect time to look back on the DS original and see how it holds up before its big brother releases. Was it worth the excruciating wait? Our simple story starts off with Mario and Princess Peach frolicking just outside of Peach's castle. Suddenly, a bombardment of Bowser's henchmen start invading the castle. Mario, quick to save the day, runs towards the castle. However, he unintentionally leaves Peach behind who is then scooped up and kidnapped by Bowser Jr. Mario catches on to Bowser Jr.'s plan, and he chases after Bowser's scheming son from castle to castle and from fortress to fortress in attempt to take back Peach from Bowser's sinister clutches. As stated, it's a simple story, but Mario games were never about intricate plots. They're more about running and jumping and bouncing off Goombas. New Super Mario Bros. succeeds in this to a "T". 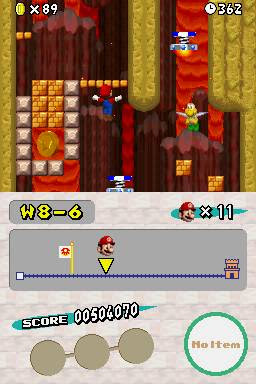 There are eight worlds in New Super Mario Bros., and each one has an overworld map for Mario to explore. Right away, one of the problems with the world structure is that to access worlds four and seven, you need to beat the previous world's boss with a specific power-up. While this is annoying in of itself, you are basically forced to skip two of the worlds. Yes, you can go back to any previous world you've visited to unlock the two hidden worlds, but it'd be much more preferable to take on the worlds one-by-one. As for the overworlds, each map has multiple paths to take, secret areas and levels to access, item and 1-up mushroom houses (akin to Super Mario Bros. 3), and warp cannons that can shoot players to new worlds. There's a myriad of level types from grasslands to deserts to icy slopes to castles to haunted houses to fortresses and much more. The levels themselves are filled to the brim with challenges and hazards. A wide cast of classic Mushroom Kingdom denizens are featured like goombas, koopa troopas, bob-ombs, piranha plants, bloopers, cheep-cheeps, dry bones, whomps, thwomps, and wigglers plus creatures from Mario's 3-D exploits like those enemies that skim across the water in Super Mario 64 as well as Dorrie from the same game's Hazy Maze Cave. In addition to old favorites, some new ones march onto New Super Mario Bros. such as a ghost that pummels through blocks and unaware plumbers with its giant boxing gloves. Meanwhile, there's a bunch of non-living obstacles to contend with such as giant spike-filled pillars that can crush Mario within a moments notice, poisonous water that will kill anything it touches, logs that roll into bottomless pits, fire bars from the very first Super Mario Bros. that rotate in foreboding fashion, and platforms that will shortly fall if Mario stays on them long enough-- and that's just for starters! Each world ends with a boss battle that follows the general three hit-death rule where Mario will face off against foes like Petey Piranha, a gigantic goomba, and a monty mole piloting a bullet bill-blasting tank. Thankfully, Mario has a new bag of tricks this time around. Taking some tricks from his 3-D adventures, Mario can now jump off walls as well as ground pound enemies and blocks that get in the way of his progress. Both moves work well and they feel great to use, too. There's also a new host of items in Mario's repertoire aside from the traditional fire flowers, starmen, and mushrooms. First off, there's the koopa shell item that Mario can use to hide into a blue shell as he runs and plow into enemies and blocks. It's the perfect way to get through tight platforms covered in blocks. There's also two new types of mushrooms of the mega and mini variety. 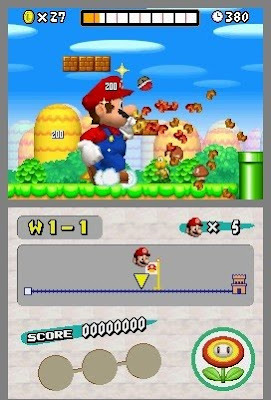 While not common, the mega mushroom turns Mario into gigantic form, allowing him to destroy anything in his way from baddies to blocks to pipes. Meanwhile, the mini mushroom takes Mario and shrinks him down to almost microscopic size. He can enter warp pipes otherwise too small for regular Mario, run across water, and leap into air higher than ever before. You can even store one item as a back-up, Super Mario World-style, and touch the screen to unleash its aid. 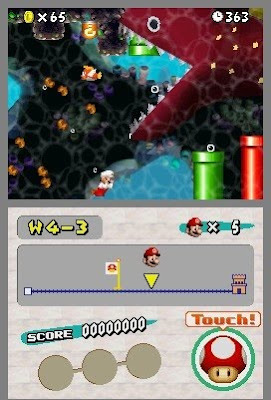 Apart from getting to the finish of a level, there's three star coins hidden in precarious locations in each level. 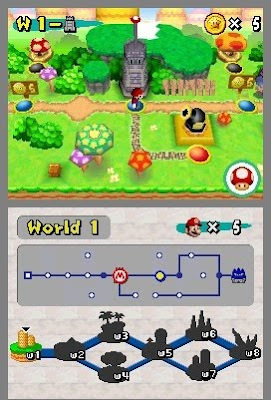 These unlock new paths on the overworld for Mario to take, usually leading to extra levels or item and 1-up-giving mushroom houses. Tracking down each of the three star coins is no easy task in later levels. They can be placed in dangerous areas of a given level, hidden in warp pipes, placed in an area that only a miniature Mario or koopa shell Mario can reach, or just fiendishly hidden in general. Some levels even have secret exits. Unlike Super Mario World, there's no way of knowing whether or not a level possesses a secret exit or not which is vexing for one, and it two, it can be very annoying searching for a secret exit in a level that doesn't even have one! One more problem that plagues New Super Mario Bros. is the lack of a decent saving structure. For a portable game that's supposed to be pick-up-and-play, there is no quick-save feature. Instead you have to play through sometimes three or more levels at a time before you can finally get to a castle, beat it, and then unlock the option to save at that, and only that point in time-- at least until you beat another castle, fortress, or ghost house. Thankfully, when you spend star coins to get through signposts, you are given the option to save there, but these are too few and far in-between for someone who may decide just to play one or two levels and then quit. On the other side of things are a slew of familiar mini-games to anyone who has played the DS launch title, Super Mario 64 DS. These games are all played with the stylus, and they can be played with up to four players. Additionally, there's a two-player competitive mode for two players to face off to see who can collect the most stars within a set time limit. These modes are enjoyable, but they won't last too many players too terribly long. Nonetheless, they are a fun distraction for the time you play through these modes. Presentation-wise, the 3-D visuals are pleasurable to look at. The animations of enemies and characters alike are quite good. The game is colorful and runs smoothly for the most part. What isn't as good is the soundtrack. While not horrible, many tunes just aren't very good or memorable-- though some tracks like the castle theme and overworld themes are nice to listen to. New Super Mario Bros. may not innovate like past Mario titles have, but it's certainly holds up well to them. 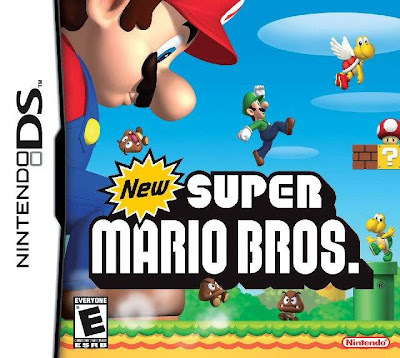 With a bounty of somewhat challenging levels to complete, three star coins to collect in each level, extra levels, secret exits, bonus mini-games, familiar gameplay, and charming visuals, New Super Mario Bros. takes the cake as one of the best 2-D platformers the DS has to offer and an incredibly enjoyable 2-D Mario on its own merit. It's been quite a while since we've had a new review on SuperPhillip Central. Well, I won't be able to say that anymore after posting this new one. It's a game that was released last month, and it's surprisingly much better than I had expected. 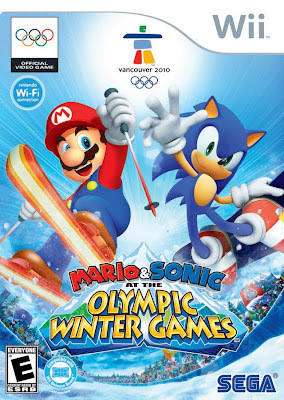 It's Mario and Sonic at the Olympic Winter Games for the Nintendo Wii (also available on the DS). Goes for Gold, Ends Up With Silver. It's that time once again. Competitors from countries close and far are fluttering to Vancouver for the 2010 Winter Olympic Games. While the real deal might not be happening until next year, that hasn't stopped Mario's and Sonic's friends and foes from taking over Vancouver and holding an Olympic ceremony and games of their own. The original Mario and Sonic catapulted itself up sales charts faster than an Olympic record in speed skating. The unlikely duo, Mario and Sonic, Nintendo and SEGA, are at it again. Gone are the cool swims and long sprints-- taking their spot are cold ice and wintry slopes. 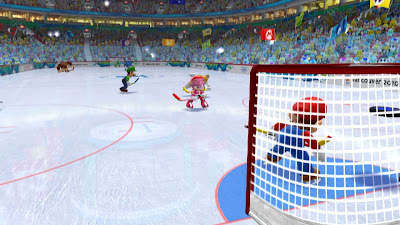 Is Mario and Sonic at the Olympic Winter Games worthy of a place at the podium? Overall for this winter edition of Mario and Sonic, there's a wider variety of things to do and characters to play as. Last time around eight Mushroom Kingdom inhabitants and eight Station Square denizens came to compete. This time four new characters join their ranks, two from each series-- Bowser Jr and Donkey Kong from the Mario series and Silver and Metal Sonic from the Sonic series, equaling up a total of twenty competitors. Well, 21 if you count the ability to play as any of your Mii characters. As for events, there's more than sixteen individual events to select from. Unfortunately, there's still no online play to speak of, but the leaderboards from the original Olympic outing have returned. Common fact: Hedgehogs can't skate. The main mode of Mario and Sonic 2 is Festival mode. This mode has 1-4 players trekking through seventeen days of fierce competition where the goal is to be the player or team with the most points by the end of the olympic games. Points are awarded by placing well in various events and training sessions. There's usually 2-3 events per day starting off with training events which allow players to get used to the basics of a given event and then putting that training to practice through collecting coins, beating a certain time, et cetera. The next day of competition is where the real event players just trained for the previous day takes place. By earning a place on the podium in an event, you're awarded one of three medals and the maximum amount of points. Occasionally at the end of a given day, you'll be challenged by a rival who wishes to test your skills. Unlike any other form of event, these must be successfully completed before you can continue with the olympic games. These rival competitions are exactly like ordinary events except instead of you versus a wide assortment of opponents, it's just you and the big bad boss. These rivals are unplayable as characters which is a shame since duking it out as Dry Bowser, Rouge, and Omega would have been enjoyable. Weegie shreds through the powdery snow. The original Mario and Sonic had a large number of games, but most of them really measured up to constantly waggling of the Wii remote. Not so much this time around. There's a wider range of events as well as more intuitive uses of the Wii remote and nunchuk. 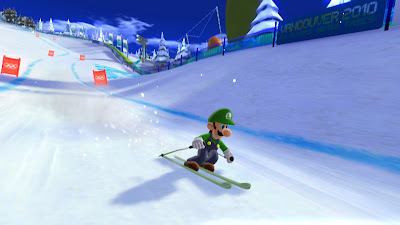 Events like alpine skiing have you holding the two pieces of the Wii controller like ski poles, tilting each to maneuver your character. There's your traditional downhill race as well as slalom racing where the goal is to navigate through multiple gates on your way to the finish line. Continuing with the theme of skiing is the ski jump event. You try to keep your balance going down the huge ramp, lift back the Wii remote and nunchuk at the very edge of the ramp for greater distance, and touch down to the snow below with perfect timing for greatest results. Moguls combines racing to the goal as fast as possible and pulling off impressive tricks. The points you earn from both add up to your total score. Get the best score, and hope to beat out the rest of the field. Apart from skiing there's its two-feet together counterpart in the snowboard. Unlike skiing, this event only requires use of the Wii remote. All you do is twist and turn the Wii remote to shred your way through the snow with ease. By pulling up the Wii remote as you come off a ramp, you'll be able to perform a trick, effectively increasing your speed. If racing isn't your bag, you can always play like Shaun White and take it to the halfpipe to get some mad air and perform mad tricks in the process via the snowboard cross event. Amy's no Wayne Gretzky, but she can hold her own. Perhaps you'd rather be a Mushroom Kingdom version of Scott Hamilton? 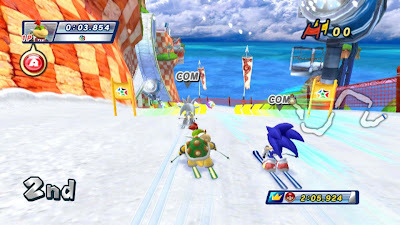 Then for you there's speed skating against three other players, a relay race where sixteen characters can show their stuff on the ice, as well as figure skating where the goal is to make the correct Wii remote gesture as you cross certain points of the ice for major points. If you're looking for something more full-contact, the incredible ice hockey event is perfect for you. It stands as one of my personal favorites. It's four-on-four hockey without worrying about a certain dynasty from Detroit. The game itself feels like a teaser of what we might see from a future Mario Hockey title. Well, we can dream at the very least. Rounding out the package of traditional events are the skeleton, bobsled, and curling games. The skeleton and bobsled games are similar in the fact that they're played the same. 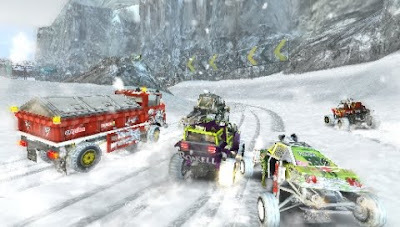 The goal is to stay in the racing line in order to keep your speed up through the courses' icy twists and turns. The only difference is that the skeleton is a single-player game while the bobsled is a team sport. Curling may not seem like the most entertaining sport to be playing in a video game, but rest assured, SEGA makes it fun. Each team gets four attempts to get their stones as close to the center circle as possible to earn points. Dream events take you in unrealistic places. Sometimes traditional sports get tiring. After all, we play video games to escape reality. This is where dream events come in. 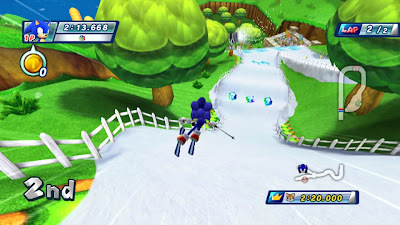 Ever wanted to ski or snowboard down Mario Kart Wii's Mario Circuit or Sonic Adventure 2's Radical Highway? Now you can. Each dream event takes place in a different section of Mario and Sonic lore from Sonic Heroes' Seaside Hill, Super Mario Galaxy's Good Egg Galaxy, Sonic Riders' Eggman Base, and Mario Kart 64's Sherbet Land. Each area is brimming with fan-service as well as a bounty of remixed and remastered tunes fitting each area. New dream-exclusive events include a mix of bowling and curling, a snowball fight of enthralling proportions, and a gliding game where the goal is to shoot down as many enemies (or opponents) as possible within the time limit. Sonic Heroes' first zone gets an icy makeover. As stated before, waggling is kept to a minimum. Most of which is used to build up speed at the start of events or during certain events (such as speed skating). As for the controls of most events they work quite well. 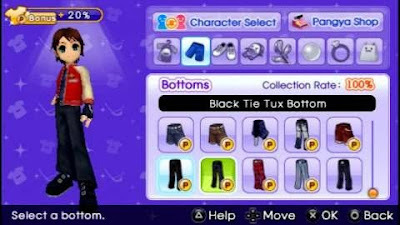 I couldn't help but think Wii MotionPlus would have been beneficial for some aspects such as parts of the game where you have to draw certain symbols with the Wii remote. I've had it on multiple occasions where I hardly moved the Wii remote at all yet still accomplished the specified symbol. Other than that, controlling each event is seldom bothersome and is often more intuitive than not. Some events allow players to utilize the Balance Board peripheral. I did not have the chance to use this, but be aware that it is an option for those looking for a new game to try it out on. As you play through Mario and Sonic, you'll earn coins that can be used to purchase items in the game's many shops. These coins are earned by medal-ing an event, beating olympic records, and by completing certain in-game tasks such as grinding 200 meters in snowboarding. There's a shop to buy new costumes for your Mii to wear such as sport coats and Mario and Sonic-themed outfits, a shop to deck out your skis and snowboards, a music shop where you can purchase any and all music you hear from the game, and a library where you can check out facts from past Olympic Winter Games at your leisure. 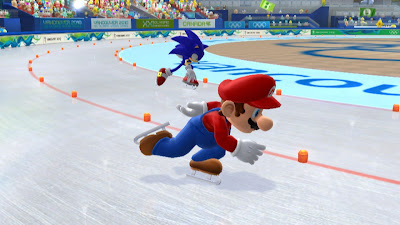 Mario and Sonic at the Olympic Winter Games is by far a better product than its original summer fling. It's packed with more to do, more content, and more extras to keep players who enjoy the package coming back for more. No form of online play is a bummer, and some of the load times can become unbearable while waiting for certain events. 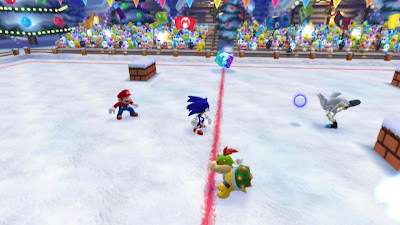 Regardless, Mario and Sonic's second Olympic outing is one that fans of either character will enjoy and those looking for some frenzied local multi-player fun. It's time once again for NPD Day. It's the second month of the PS3 price cut and the first full month of the Wii's price cut. Let's see if anything interesting happened this month sales-wise. Happy days for the Wii and Uncharted 2! Both move more than a half million units each. It seems the price cut really came into effect this month with the Wii reigning as hardware king once more. Sad days for PSP however, and unfortunately so since there's plenty of superb software coming out in the coming weeks and in the past. Wii Fit Plus debuts in second place, and will most likely be surpassed by Modern Warfare 2 in November. Meanwhile, the 360 version of Borderlands proves once again that Michael Pachter is an idiot with the game selling close to 500,000 units. At the latter half of the top ten there's soccer, basketball, rally racing, Kingdom Hearts, and Halo which has slipped a bunch from its previous month-- as expected. These titles much like the upcoming Modern Warfare 2 are known to be severely front-loaded. 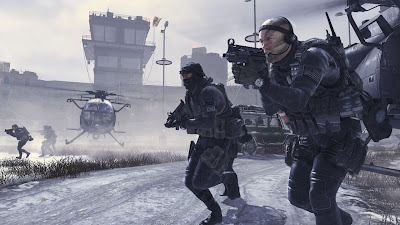 Will Modern Warfare 2 push the 360 and PS3 past the Wii next month? 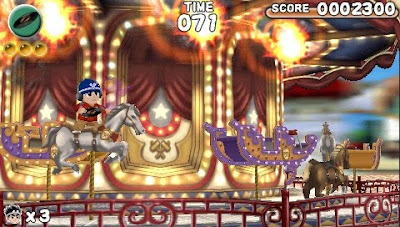 How will New Super Mario Bros. Wii perform? We'll find out in December! 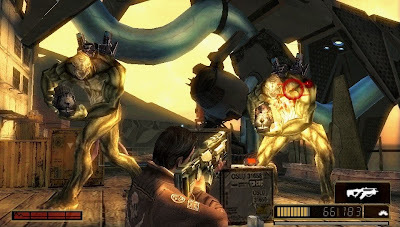 Back at the end of April of this year, we took a look at some of the PSP's most overlooked and under-appreciated games. Today, more than a half year later we are going to be examining some more games. Sadly, it seems that the majority of PSP games fall by the wayside due to the rampant piracy problem the system possesses. Thankfully, not all titles are poor sellers. Regardless, the following is a list of five more PSP games many owners let slide by. From the Sony Bend studio comes Resistance: Retribution. 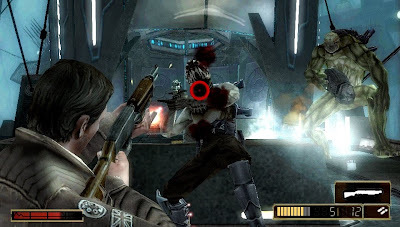 The game is set less than a month after the events of the original Resistance. After killing his brother, our hero, a British marine, takes on the job of destroying every conversion center, the place that turns humans into monstrous chimera, and help take back the European continent. Retribution takes a different perspective on gameplay from the series' first-person roots to third-person action, and it works really well. Combine this with frantic and fun online multi-player, and you have a game that's hard to put down. How do you effectively take a Playstation 3 series and faithfully create it on a much less powerful platform? 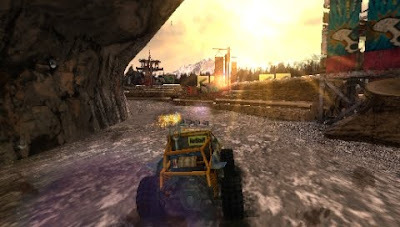 Just ask Bigbig Studios as that's exactly what they did with Motorstorm: Arctic Edge. There's essentially twenty-four varieties of tracks to learn and conquer, 12 raced normally, 12 raced in reverse. There's also a wide assortment of vehicles, many of which have their own preferred lines as small bikes won't gain much speed in heavy snow unlike big rigs that shouldn't go anywhere near a ramp. The icing on this already slippery cake is the ability to take on seven other racers online in heated competition. Careful with the heat though-- you might melt a glacier! Last edition we chipped and birdied with the Hot Shots Golf: Open Tee series. Now we're moving to a different series with the famous PANGYA anime golf series. 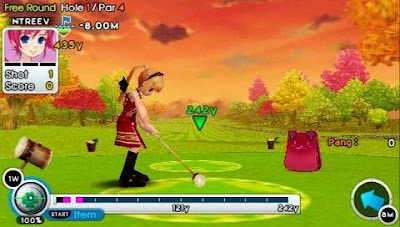 Known better on the PC as Albatross18 as well as on the Wii as Super Swing Golf, PANGYA has nine courses of increasingly difficult holes, a colorful cast, the ability to unlock and purchase new costumes, balls, and gear, a fairly entertaining and challenging story mode, and gameplay that will keep armchair golfers addicted for hours on end. Jeanne D'Arc is loosely based on the historical figure from centuries ago. The game plays out like your typical tactical RPG with all the bells and whistles plus a gorgeous cel-shaded art style to boot. Now this title perhaps was doomed to fail as tactical RPGs generally don't do that well unless they're proceeded by Final Fantasy in their name. 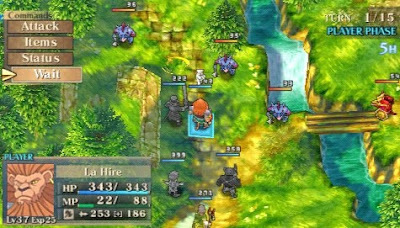 Regardless, this game will easily make you lose many hours with its charming aesthetics and its "I gotta do just one more battle" gameplay. When it comes to Atlus, most often than not the game is going to be overlooked or have a low print run. This was the case with the 2-D beat-em-up brawler/action-platformer Hammerin' Hero. Don't let the 3-D visuals fool you, this is an old-school 2-D game at heart. It can get tough as nails, too, as your hammerin' hero will lose a life from just one shot in later difficulties. There's also a myriad of different jobs for our hero giving him new abilities from throwing records as the D.J. 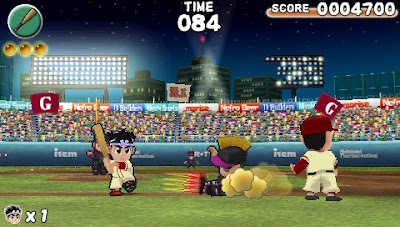 job to smashing enemies to the background as everyone's favorite home run hero. If you're a fan of classic games, you'll find a lot to love with this old-school lovefest. After an extended, unannounced vacation, I've been stockpiling several reader questions. Sure, many wondered where the heck I was, but some of them focused on varying other topics-- some current, some not-so-current. Stay tuned later on this week as I have two new reviews planned as well as a second look at the PSP's most overlooked titles. But now let's take a gander at a few questions, shall we? Reggie [Fils-Amie] stated in a recent interview with Gametrailers TV that he thinks New Super Mario Bros. Wii will outsell the 360 version of Call of Duty: Modern Warfare 2. What are your thoughts? I believe that initially Modern Warfare 2 will come out of the gate with both guns blazing. We've seen this with Grand Theft Auto IV, Halo 3, as well as MW2's predecessor, Call of Duty 4. These titles beat out the respective Nintendo games in their months of launch, Wii Fit, Mario Kart Wii, Super Mario Galaxy. However, looking at the long-tail sales of these games, and the aforementioned triad of Nintendo titles beat out these front-loaded games quite handily. So to sum this long-winded explanation up, New Super Mario Bros. Wii will lose to Modern Warfare 2 in the short-term, but it will beat the game in overall sales. Super Mario Galaxy was beaten by Call of Duty 4 in the United States. Do you think Modern Warfare 2 will beat New Super Mario Bros. Wii in the U.S.? Don't underestimate the power of a 2-D Mario. 3-D and 2-D Marios are two entirely different beasts. 2-D is far more accessible for most players. My mom couldn't do anything in Super Mario 64 besides run around in a constant circle. That isn't to say she's stupid. That isn't to say she's dumb. That is to say that there's a higher learning curve playing a 3-D game than one in 2-D with only left, right, up, and down to go. Super Mario Galaxy sold around 10 million units in the U.S. New Super Mario Bros. on the DS has sold approximately double that at 20 million. Perhaps being on a portable system helped, perhaps not. We'll find out next month when NPD time rolls around. What is your favorite genre of game? Least favorite? Most probably my favorite genre is the platformer! I can't decide whether I prefer 2-D or 3-D though... such a tough decision. I'll get back to you on that one! As for least favorite, I don't really care for MMORPGs, traditional fighters, or real-time strategy games. I just can't get into many of them unfortunately. You seem to defend the Wii a lot. Almost to the point that I'd call you a fanboy. Is there anything you don't like about the console? 1) Please do not use the word fanboy. That's honestly an insult I'd expect to hear on an elementary school playground, 2) The Wii definitely isn't given a fair shake by most message board gamers and the media. That is blatantly obvious, and 3) I don't like having to use the Wii remote to select to play a Gamecube game when I have to use the Gamecube controller afterward anyway, I don't like the online set-up-- I wish it was more streamlined, I wish there were demos of Virtual Console and Wiiware games, speaking of VC games, I wish Nintendo would put out a steady stream of quality titles in their massive backlog, I wish Nintendo would help market third party titles when third parties can't be bothered (which is usually always), and that should do it for now. Now you should ask me why I don't play the 360 that often. That would be a long post! Are you planning on doing another award show for game of the year and all of that? As a matter of fact, yes, I am. I'll recap the winners and runners-up from last year's big event as well as showcase new awards along with the oldies but goodies. Stay tuned for another fun awards show! Signed, sealed, delivered, the SPC Mailbag is being closed shut once again! Hope those who wanted their e-mails, comments on Youtube, CAG, and elsewhere answered are satisfied. Until next time, faithful readers! How long has it been since my VGMs went into hiding? I shiver just thinking about it. Oh, VGMs, how we have sorely missed you! Welcome back, dear friends! This week we're getting back into the groove with Professor Layton, Ratchet & Clank, Samus Aran, and more! Let's get right on to it! From the official soundtrack of Professor Layton and the Diabolical Box, it's the live version of the game's theme. I love this game and hate it at the same time. I love it when I solve a puzzle, and I hate it when I get stuck on one... or seventy. 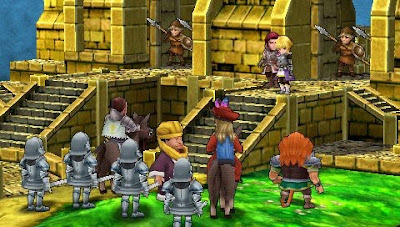 Final Fantasy Fables: Chocobo Tales is two different gameplay types in one. On one hand you have the mini-games, and the second you have the card duel game. This theme plays on the field map of the game. I don't particularly care for the source material, but the games are another story. Dragon Ball Z Budokai has seen six games including the Tenkaichi series. While Budokai is more DBZ in the skin of a fighter, Tenkaichi is like playing the cartoon. This song is entitled Challengers, and it's one of the many battle themes. Planet Oozla is a marshy planet full of swamp water for Ratchet to drown in if he isn't careful. Going Commando alongside Up Your Arsenal are my personal favorites in the series. The upcoming A Crack in Time will be a definite purchase when it comes out at the end of October. Venture into the icy depths of Phendrana's waters as Samus searches for the Gravity Suit. Phendrana Drift has some of the best ambiance in a video game in my personal opinion, and this music only enhances it, don't you think? There we go. That wraps up this week of my favorite VGMs. Tune in next week for five more classic tunes that I have in store for you! Can you believe it is less than a week before a brand-new 2D Mario hits a Nintendo home console? Some may laugh that the Wii's big game of the season is another Mario game, but truly the big game on the HD platforms are yet another shooter of some variety! You just can't win, can you, Wii owners? Here's two North American advertisements for New Super Mario Bros. Wii leaping to store shelves this Sunday.